It looks like it’s from another century. I know last year was only a year, but it had centuries in it too. Because here’s one of them right here. 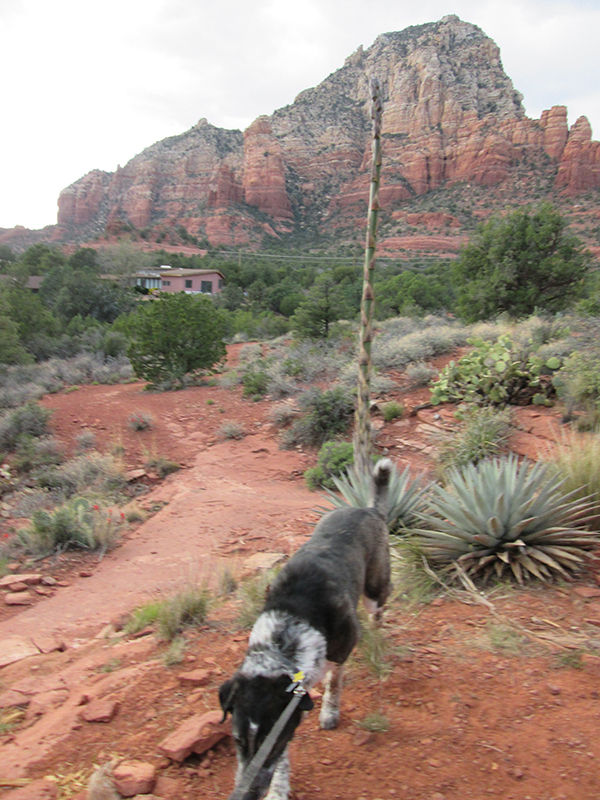 This century plant grew up right next to my trail last year. And now it’s gone. Splat! I guess that’s the end of the centuries on my trails. I’ll have to take it year by year now. One of these big things only shows up once in a hundred years. I don’t think I’ll be around for the next one. 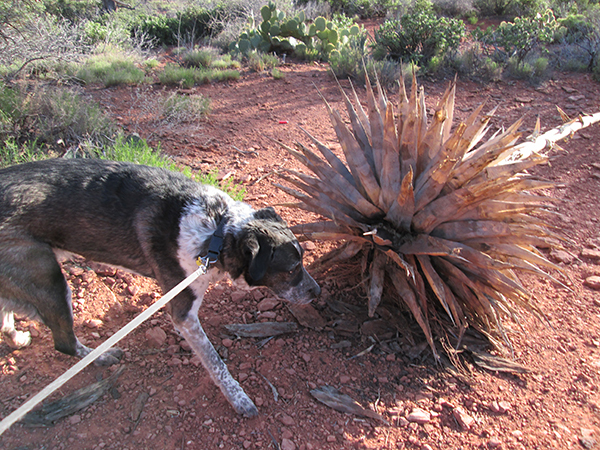 It smells like that century plant. Naw. 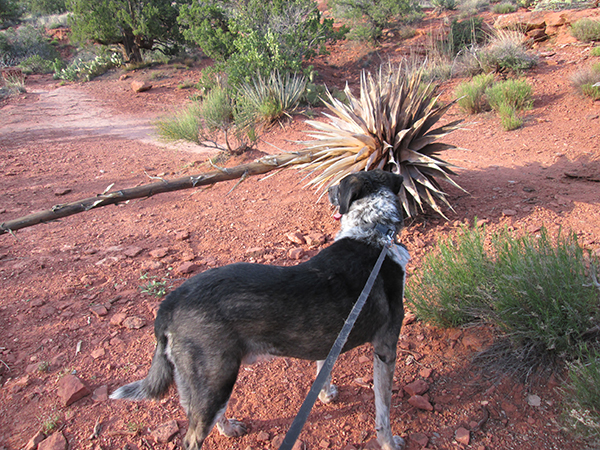 There’s not a chance in a hundred that another century plant would show up on my trails. My person takes too many pictures of them. Uh oh! Just when you thought your hikes would be timeless….. I know Rumpy, I know. Didn, t you find a Century plant last year? Patrecia, the century plant last year is this one that just fell over. Oh, I know there were others – but how can I get dramatic if I admit that. Those century plants are popping up like weeds. Plus they look like giant asparagus! Cupcake, I think I should go into the asparagus business. 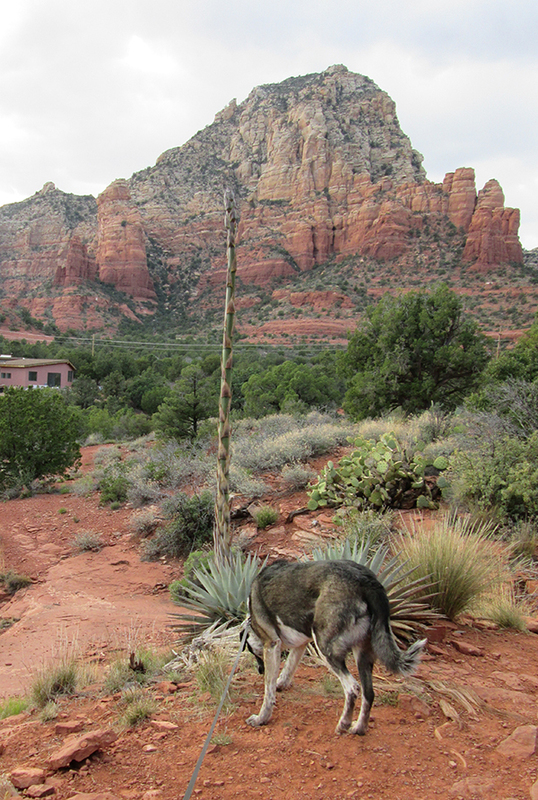 The yuccas in my yard are starting to sprout and they look like giant asparagus too – although not nearly as giant as the century plants. Little Binky, you’d have a great time around here. 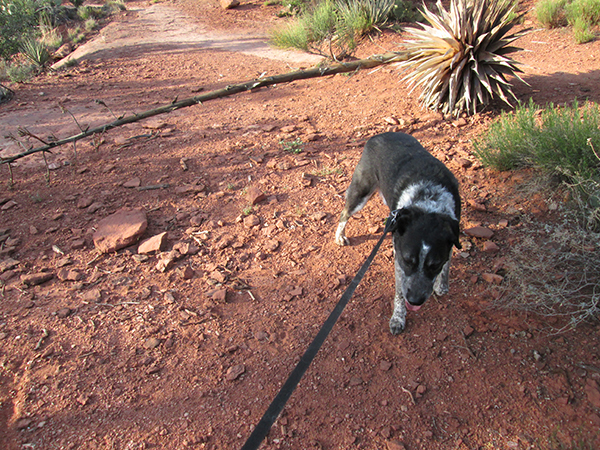 Kevin, last year there were three century plants next to the trails I normally walk on. This year there is only one – but when they start blooming my person will take me on longer walks to the trails that usually have lots of them. It might be that if you water a century plant once, it will become a decade plant. And if you water it twice, it changes into a biennial, and the third watering leads to an annual one. Kolytyi, with the tiny amount of rain we’d had around here this year we’ll probably only get millennial plants.